By repeating a movement, we relegate the control of that movement to the subconscious level, making available more of our brain’s resources for decision-making. So, drills are certainly important for learning, but I tend to only use them after I’ve established where and why a particular skill might be used in a game context. 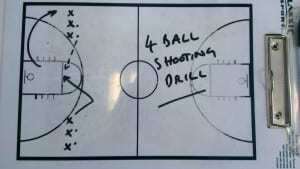 What makes a great drill? In my first year lectures, I’ve developed four basic design principles for creating effective drills. If you make sure the drills you use follow these principles, you can’t go far wrong! OVERLOAD – must be involved, often by changing the speed, pressure, resistance, frequency, space etc. REPETITION – the drill should be optimised for maximum group and individual reps. RECYCLE – the end of one phase should be the start of another. SIMPLICITY – quick, uncomplicated explanations; drip-fed progressions. Here’s my favorite drill as an example. 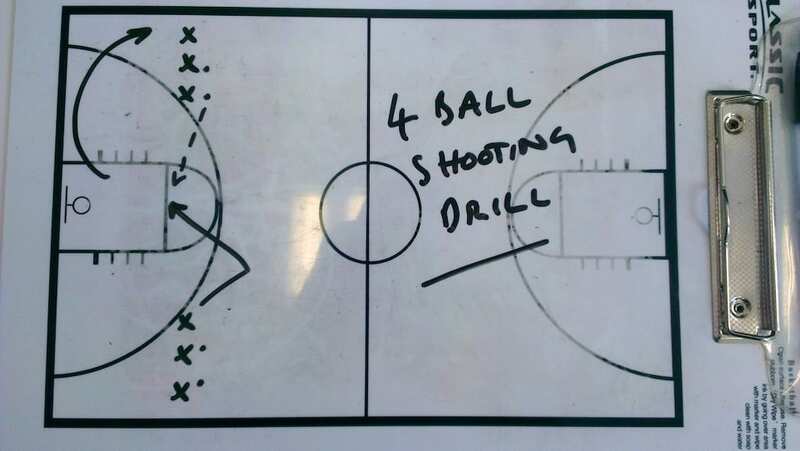 It’s a basketball shooting drill that can start really simply, but can become highly complex with a high degree of decision-making involved, in addition to the basic repetition.